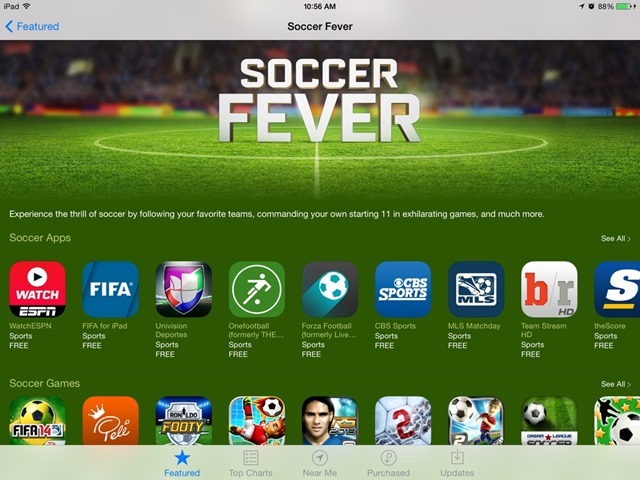 Soccer Fever is a new featured apps collection in the App Store this week. With the world’s most popular sporting event, the World Cup. kicking off in just a couple of weeks, this is a timely choice to feature in the App Store. Although I still kinda hate having to see the word ‘soccer’ used instead of football, I’m glad to see this featured collection. It looks like a good mix of news and information apps on the sport itself and some of the top soccer games available for the iPad and iOS. 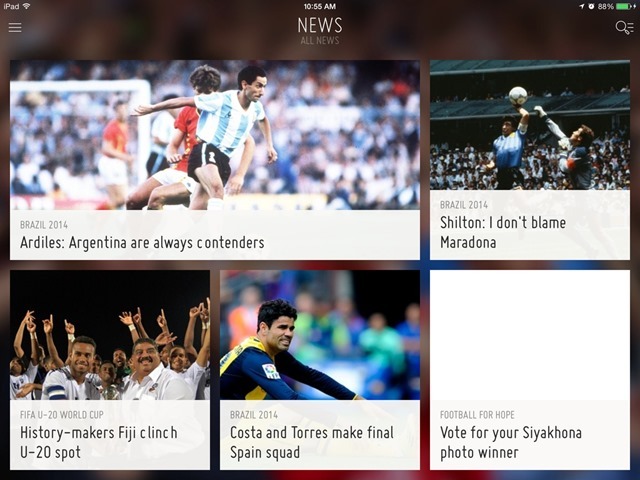 I’m surprised we haven’t seen more dedicated World Cup apps leading up to this year’s tournament in Brazil. For now, I’d say the official FIFA app is the best resource – especially as it is touting a major update for the 2014 World Cup coming soon and is already offering plenty of World Cup news.